c) The screen was made of solid glass. So when we pressed it, the sensation that we really feel in the fingers are like the storm 1. The screen does not like the foam (crooked on the part of our push), such as storm 1, the screen is glass smooth and hard, but we can feel certain parts of it that we press, and made the sound "click" is typical. d) In Storm2, we can multi-press. At 1 storm, there is a small button located in the middle under the screen. This means that once you click on one part of the screen, then we can not click anywhere else before we release the click and they will be pressed again. In Storm 2, we can click on one spot (eg the alt key), get the feeling had been punched, remain in detention, while squeeze in another key and get the other feeling the squeeze. 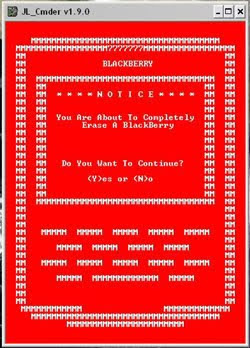 You may need to reset your Pocket PC Phone. Normal (or soft) reset of your device clears all active program memory and shuts all running programs. This can be useful if the device is running slower than usual, or not working the program correctly. Soft reset is required after the installation of some programs. When soft reset is performed when running programs that are stored data is lost. You can also called a hard reset (also known as a full reset). Hard reset should be performed only if a normal reset does not solve the system problem. Restored if a hard reset the device to its default settings, as was the purchase of the first IT and switched on. All programs installed, data you entered and to adapt to the loss. Only Windows Mobile software and other preinstalled programs will continue. left side of your device. installing/replacing the battery and SIM card. default or X to exit the hard reset process. 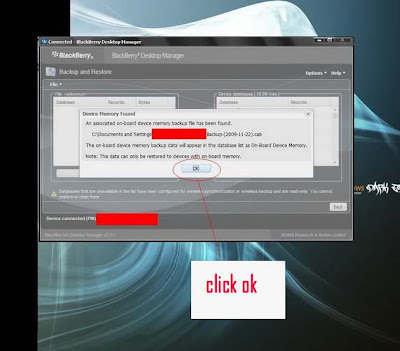 IT Policy means any restriction or limitation in the use of BlackBerry. Example restriction, for example, can not download attachments, can not connect bluetooth, can not install additional applications. If it appears . IT Policy Enabled . This means that the new IT Policy On . 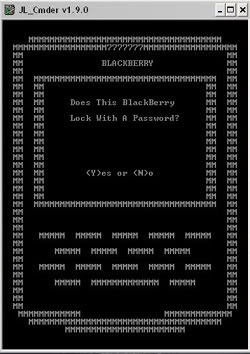 If you dipassword BB, press Y, if not dipassword press N.
Press Y to do Wipe, or N to cancel. 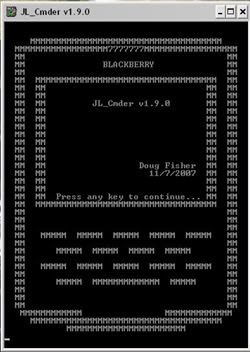 if the BB screen appears "Error 507", not to worry, please go to desktop manager - application loader to re-install your BB. 2. search code would be changed emails, such as Gmail, go to options / advanced options / service book / search his email address, then go and see her UID, for example for yourname@gmail.com, UID is GBISXAPC00S02. who has a problem in the Bluetooth menu would not appear or could not pairing with a new device on the os 5.0.0.238, which I think actually it's not a bug . 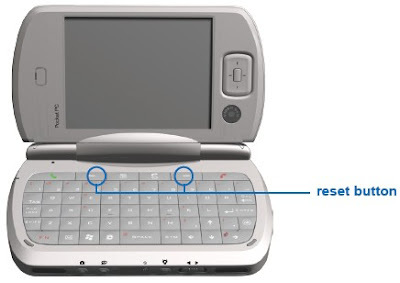 os can be used as usual, except that there is a way that the Bluetooth menu appears . I hope this helps your keyboard is having problems on os 5.0.0.238 bluetooth . 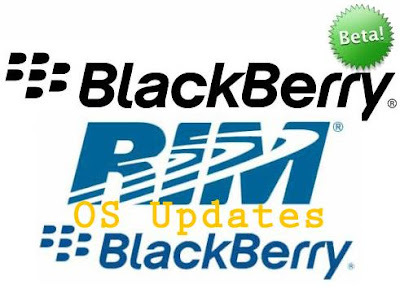 It's easy just after we installed the 5.0.0.238 os hh (handheld) bb we would we want to restore our data right? reply should be noted here when restore data using restore DM do not use reply all but put an advanced course so we could choose what would be the pot handle is restored into our bb, when selecting "Make sure the reply associated with the Bluetooth do not restore" because according to This reply caused me Bluetooth is not going to appear the menu or for pairing with a new device ... and voila bluetooth menu appears, even if we set up again to. 1. Knowing the PIN, IMEI, OS version, FreeMem. Clicks: Main Menu - Options - Status, or press and hold 'ALT-Caps/AH' together. 2. Determine if BB 'locked' or 'unlocked'. Click: Options - Advanced Options - Sim Card - write / type 'MEPD'. 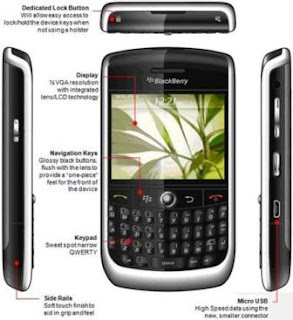 - If BB 'Unlocked' will display the status line: 'Disabled'. 3. Knowing BB hit 'IT Policy' or not? - If his BB IT-Policy/BES installed, the note 'IT Policy enabled'. - It's really able to check his BB-new / used. If only once, the numbers should NOL / zero all. 4. Creating SMS and email in separate folders. - Click: 'Messages' - BBMenu - Options - General Options - Search for 'SMS and Email Inboxes' and select: Separate. 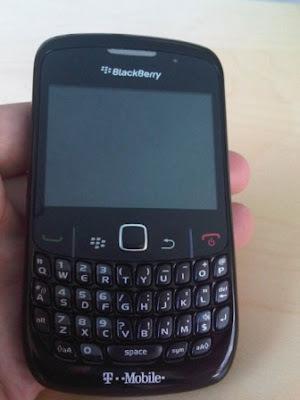 then press the BB button, and select Clear Log. NOTE: All other threads requesting Firmware download link etc will be deleted without warning ! 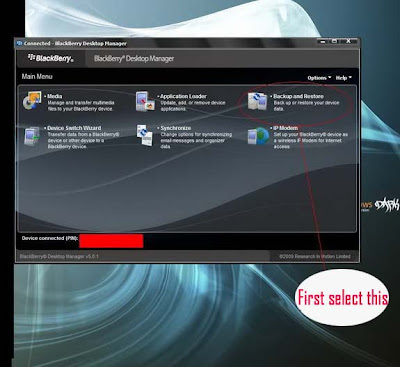 -> Wipe bb it is his hard reset blackberry , but before doing Wipe, back up your data first on his blackberry. 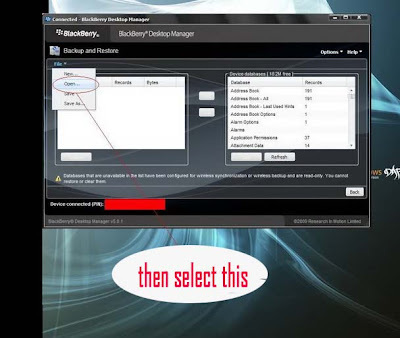 Connect BB to the laptop / PC via Desktop Manager (DM), then select "back up & restore". 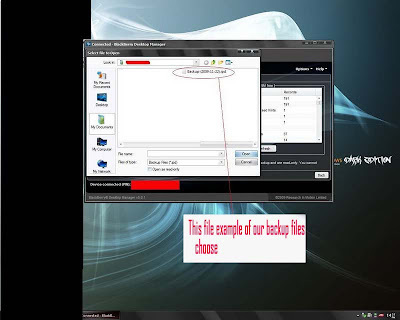 Select "back up"
Stelah backing up the data, Wipe the BB can do. go to Options>> Security options> General Settings ..
press the BB logo, then select "Wipe Handheld"
Wipe the process will then run. After Wipe process was completed, the data restore process can be done. 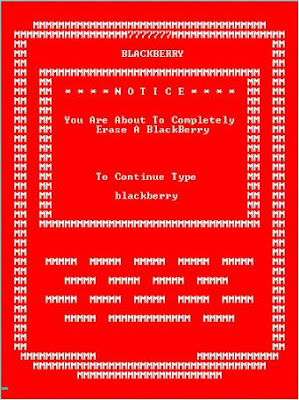 Pace equal to the Back-up, only this time select is "restore"
First aid on the Blackberry will be undertaken when BB was suddenly blank . email does not go-go . YM(yahoo messenger) can not connect . signals only GSM / GPRS only. 1. Disconnect the battery at least 1-2 minutes. This function is the same as doing location update in common mobile phone, that if the type can only turn of / turn on again. 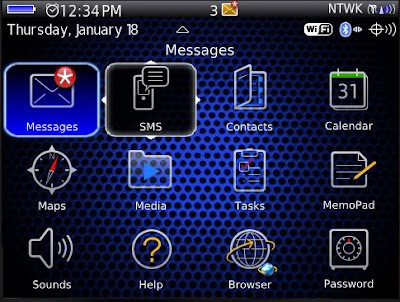 This function is to ensure you are registered in HH BlackBerry network. 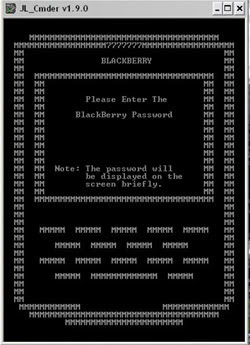 With already registered, then the tunnel from your HH to the BlackBerry infrastructure already established. Tunnel link is to trigger GPRS/EDGE/3G capital.